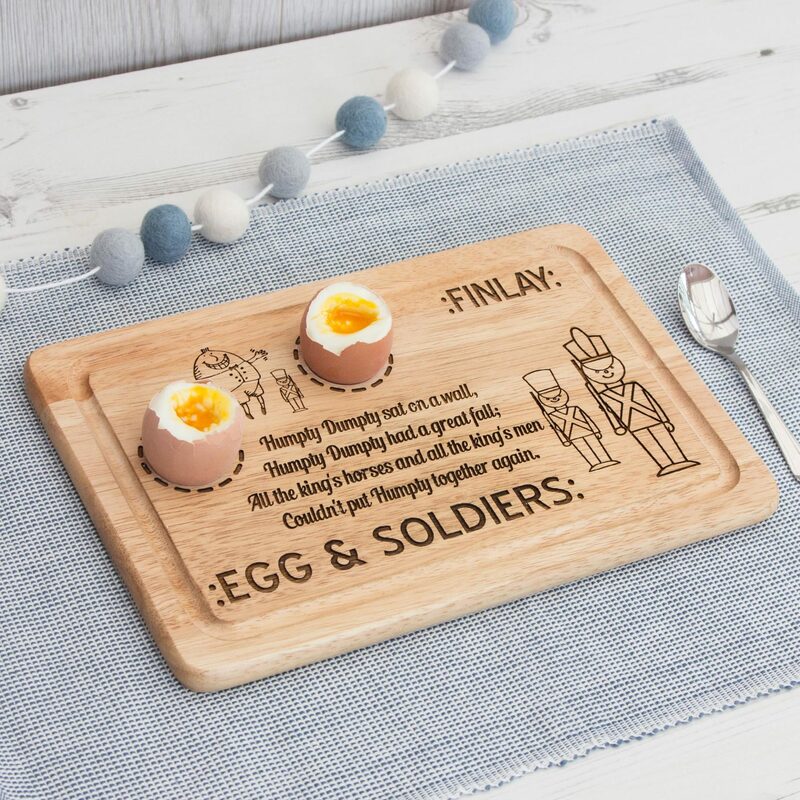 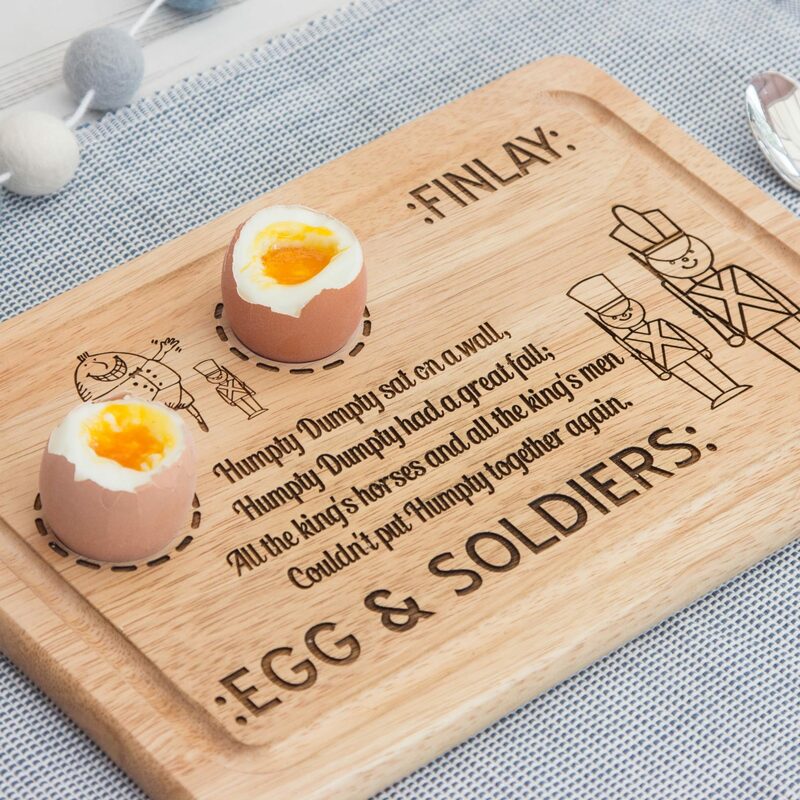 Who doesn’t love Egg & Soldiers, Laser Engraved Wooden Egg & Soldiers Dippy Egg Board. 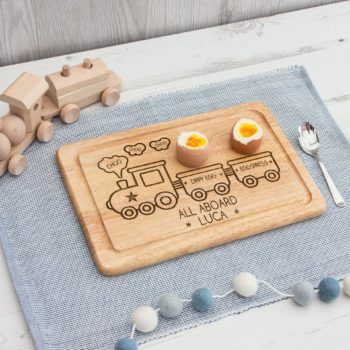 Perfect for Young Children. The Board can hold 2 eggs and a space for those soldiers ready to dip. 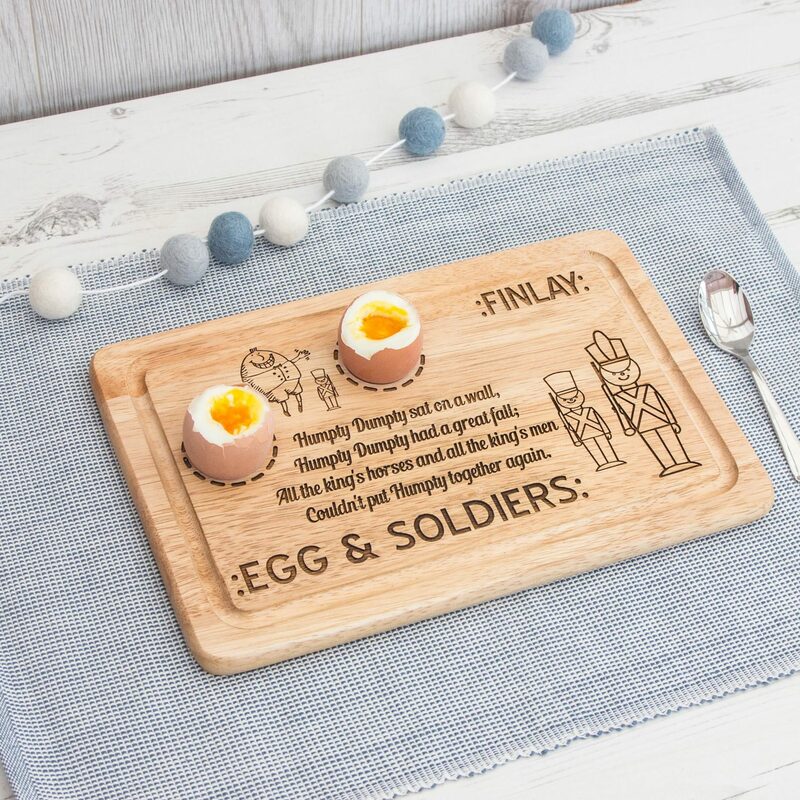 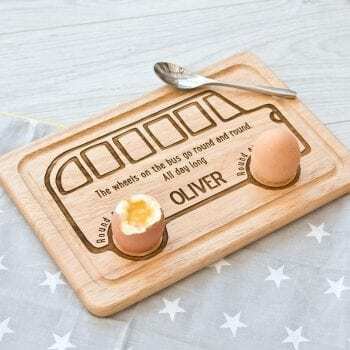 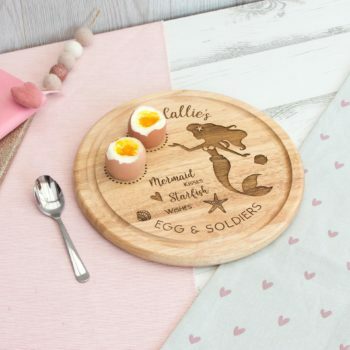 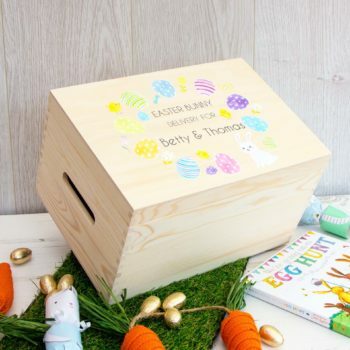 The Egg & Soldiers board is 30 x 20cm wide and includes a custom engraved name for your child.